All patients who wish to undertake implant treatment at our clinic come to free counselling first to receive professional, expert advice. 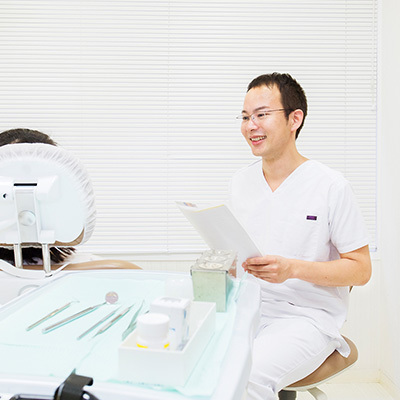 Our clinic is fully equipped with dental CT machinery. Nerves and blood vessels pass through the bones of the jaw which is an extremely thick and complicated structure that general X-ray imagery cannot comprehensively analyse nor confirm the status of said nerves, blood vessels etcetera. Only CT can effectively and comprehensive scan and analyse which areas of the bone structure require implant treatment. During counselling the CT scan is provided free of charge. If you are considering implant treatment with us please feel free to use this service. Following the CT scan and understanding your current condition we will provide a clear, concise explanation of your symptoms and condition. We will also ask the patient about any recent troubles, or situations they may have dealt with to get a clearer picture of the situation. 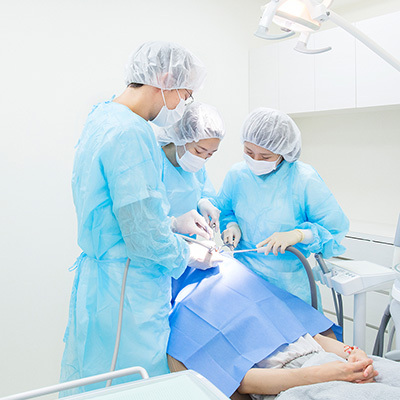 Naturally the implant treatment period will widely vary depending on each individual case. 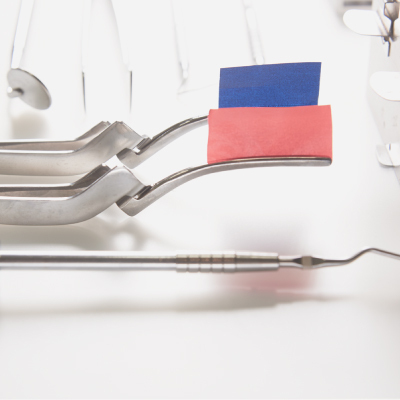 Generally, the process of implant and bone bonding takes approximately 2 months. Aside from the surgery extrusions and other follow up procedures are required around four times. We understand the anxiety of going through a treatment period so we will inform you in as much detail as possible how long the period will last and other important specifics to ease your mind. 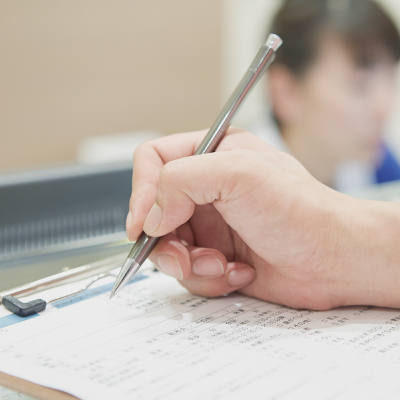 When you are finished reviewing the details of your treatment plan please reserve the desired date of treatment. Please make your reservations as far in advance as possible as various preparations for the treatment need to be made. We appreciate your understanding. Dental loans and credit cards, and payment by instalments are also available. Please do not hesitate to contact us anytime for further inquiries. All our clinics are sterilized by Class B, following the strict European standards in order to avoid and prevent any risk of infection. Dentists conducting the implant treatment are experienced surgeons with countless cases over the years behind them. Each treatment takes approximately one hour. We recommend coming in comfortable clothes. Furthermore our clinic understands the importance of easing the patient’s anxiety so we implement an effective anaesthesia plan that will allow the patient to remain sleeping until surgery finishes. Feel free to contact us for any inquiries regarding the above. 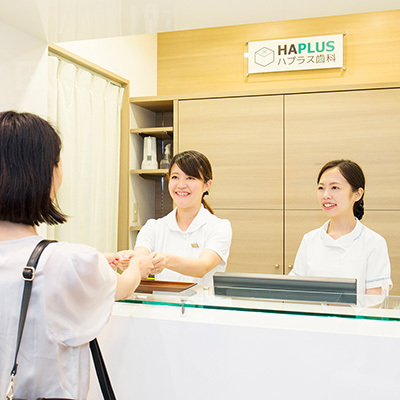 Our clinic provides and recommends maintenance three times per year. During the checks we examine the status and condition of the implant and act according to whatever discoveries are made. © HAPLUS All Rights Reserved.